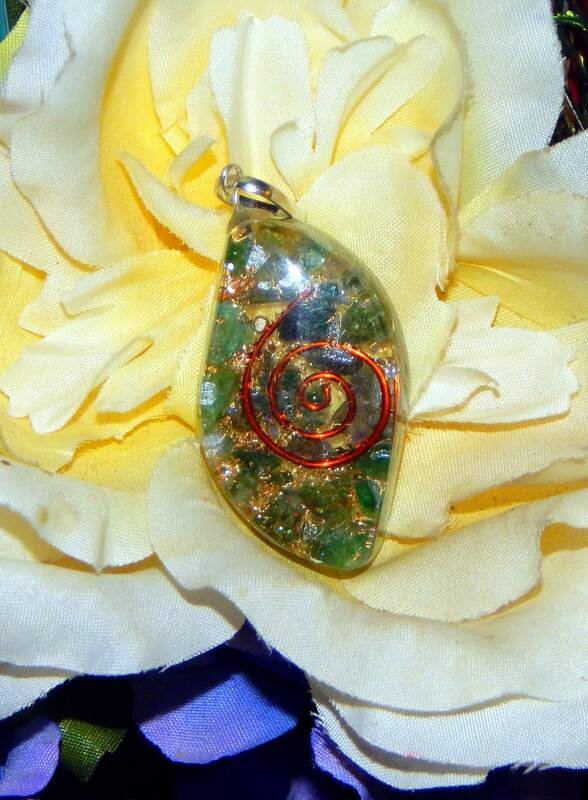 This stunning Orgone pendant is hand-crafted with genuine green Aventurine, Green Fluorite, Rainbow Fluorite and copper. It has been fashioned in the shape of an 'evil eye' talisman, also known in many cultures as a nazar. 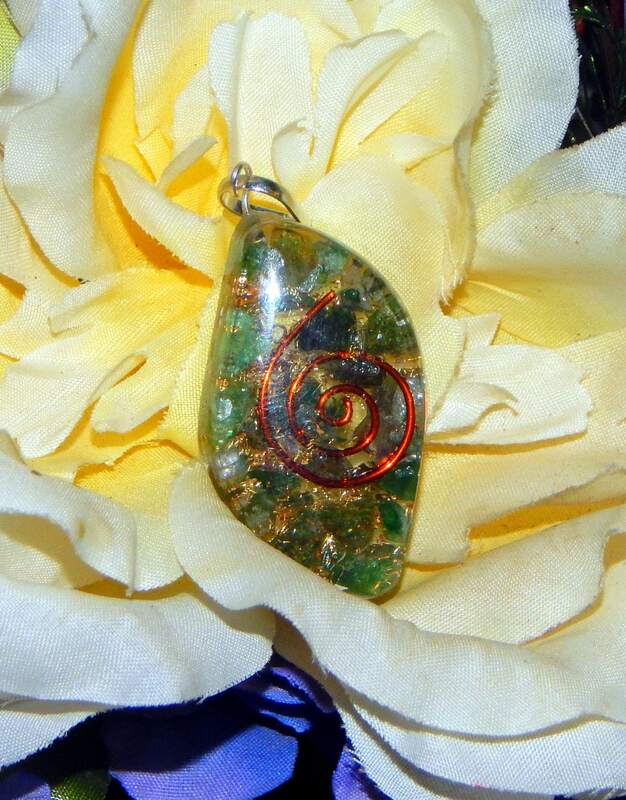 In accordance to reiki beleif, green Aventurine is suggested as a stone of prosperity, growth and abundance. Fluorite is a lovely stone suggested to have energies which dispel negative energies and interferances, assisting to remove blockages and open the heart, throat and each of the upper chakras. 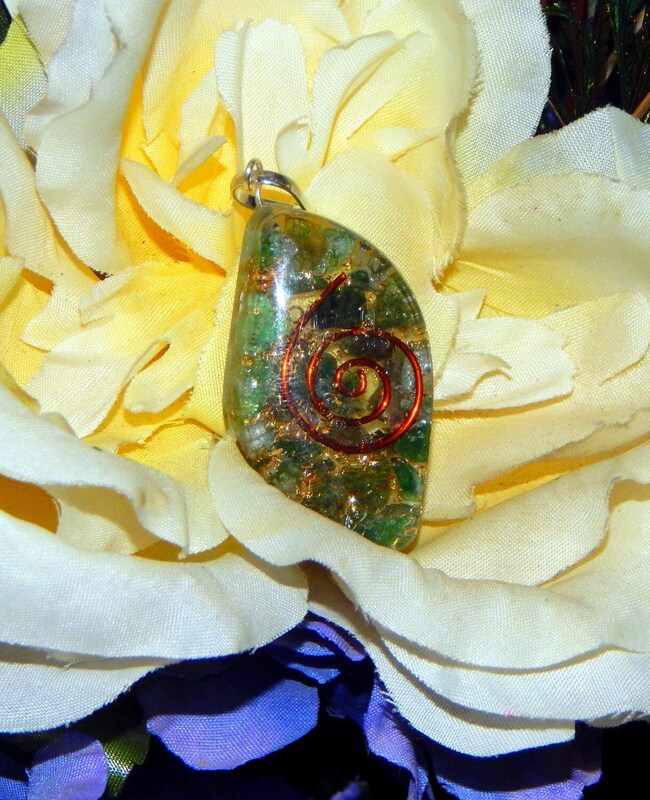 Together, these stones hold energy optimum for enhancing and unlocking the Heart chakra in a gentle manner. Includes faux leather necklace cord with extender chain, 18' inches in length. Each pendant is hand crafted, patterns and slight color variations may occur compared to the photos.